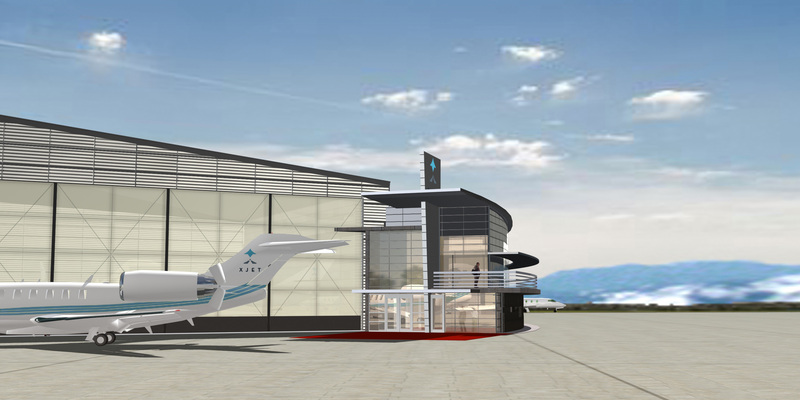 Xjet Club, LLC, which has developed a new concept in luxury air travel, announced on July 21 that the Arapahoe County Public Airport Authority has unanimously approved the company’s plans for a one-of-a-kind private jet center. 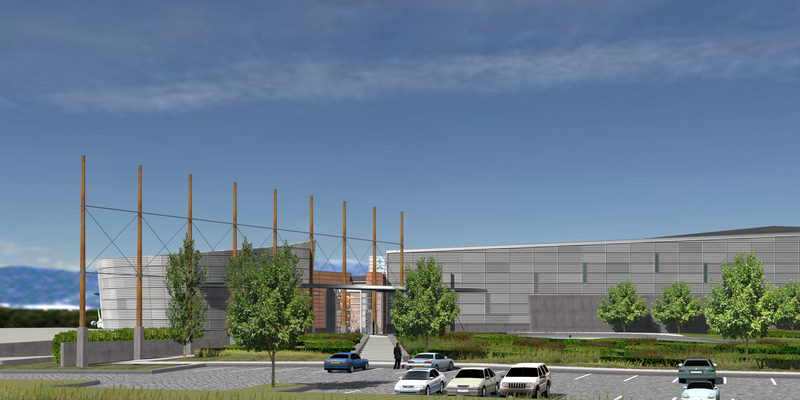 The facility will be built on an eight-acre site located at the secluded south end of Centennial Airport. The plan approved by the commission includes three state-of-the-art hangars totaling 64,000 square feet, which will hold 15 to 20 aircraft. The plan also includes a 16,000-square-foot clubhouse with many luxurious amenities, including a members’ lounge, library, fine art gallery, conference rooms, massage facilities and a five-star restaurant. World-renowned chef Bruno Breusch will operate the restaurant, which will be open to the public. Construction of the first phase of the facility is slated to begin in the fourth quarter of 2005 with completion expected in late 2006. 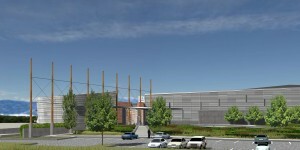 Denver-based Klipp has completed the facility’s architectural design. Klipp has used its extensive experience with renovations, historic preservations, mixed-use developments and large-scale civic structures, such as Denver Public Library (Central), to create a design that is distinctive and functional, yet unique to an airport environment. Denver-based Shaw Construction has been hired as primary construction contractor. 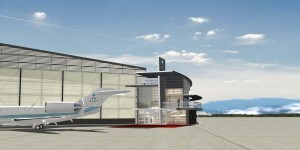 According to Stewart, the Xjet concept was developed to appeal to both owners and non-owners of private jet aircraft. Xjet will provide its members with spacious, state-of-the-art hangars, as well as aggregate purchasing power that can lower fixed and recurring costs related to airplane ownership. Non-owners will have access to a fleet of the latest planes. All members will have access to the sumptuous club facility, which includes a personal concierge to manage all aspects of travel planning and a host of amenities. From the runway side looking south, the most prominent feature is the exit/entry into the club facility. Xjet’s aviation industry partnerships will allow members guaranteed access to a fleet of jets with just 10 hours notice. Similarly, Xjet’s exclusive fuel management program will provide members with significant fuel savings, not only at its Centennial Airport base, but also at any fixed base operation location worldwide. The Xjet concept was developed by Stewart, a native of Ireland who has logged more than 5,000 flight hours as a military (Royal Air Force), bush and commercial pilot. Stewart also has flown extensively throughout Africa on peace and relief missions for the International Red Cross, the United Nations and the U.S. State Department. For membership information, contact Josh Stewart at 303-799-5170, extension 20.